A universally unique identifier (UUID) is a globally unique 128-bit (16-byte) number that is used to identify Profiles, Services and Data Types in a Generic Attribute (GATT) Profile. For efficiency, the Bluetooth® Low Energy (BLE) specification adds support for shortened 16-bit UUIDs. These shortened formats can only be used with Bluetooth SIG defined GATT profiles. All UUIDs in BLE are 128-bits (i.e. a 16-bit SIG-approved UUID is actually just part of a 128 bit UUID. For example, the Client Configuration Descriptor UUID (2902) is actually 00002902-0000-1000-8000–00805f9b34fb). Therefore, these shortened formats can only be used with UUIDs that are defined by the BLE specification. 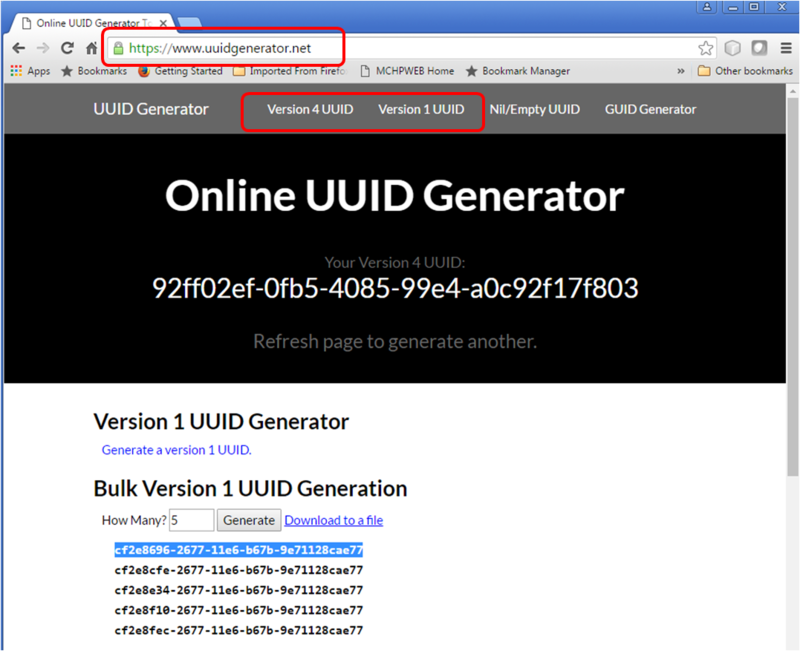 A Version 1 UUID is a universally unique identifier that is generated using a timestamp and the MAC address of the computer (Web Server) on which it was generated.